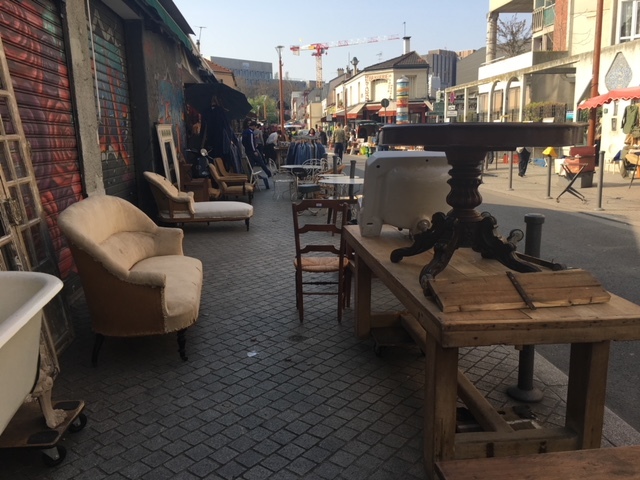 The most famous flea market (marché aux puces) in the Paris region is the Marché aux Puces de Saint-Ouen, an easy walk from the Porte de Clignancourt metro station. If you’ve been, you know that it’s more than a flea market–it’s an entire small city of antiques vendors. 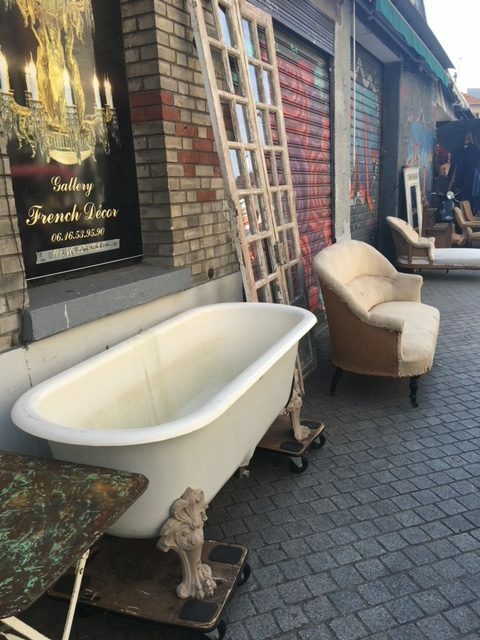 For antiques aficionados, it’s an absolute must-do. But even for non-enthusiasts, this market is well worth the visit, even if you’re just there to look and not shop. I visited the flea market last summer for the first time in years. I was lucky to be with friends who knew their way around so I could just tag along. It’s not an easy place to navigate on your own if you’re looking for something specific. But wandering and getting lost is not a bad plan either, so long as you’re careful to hide/watch your wallet. The area is a popular hangout among pick-pocketers. As I’m still by no means an expert, I’m linking to Paris Perfect’s guide on how to navigate the market, including a brief history. Do you have a favorite street or shop in the market? If so, please share!